Pour la version française, cliquer ici. Courses (1st and 2nd level) given via video-conference, via Google Hangouts which is available free online and does not require any downloading. Classes can be recorded for students to re-watch later or to catch up in case of absence. For any information about these course, contact Daniel Kennedy, the teacher : mcydaniel@gmail.com. Each student will receive material by email which can be printed out and used in class. The course will be conducted just like a traditional class, the teacher will interact with the students, students will be able to interact with the teacher and with each other all via live video. If there are several of you in the same city/town and wish to take the same course, you can get together and learn in the same place which could be benificial both practically and in terms of conviviality. 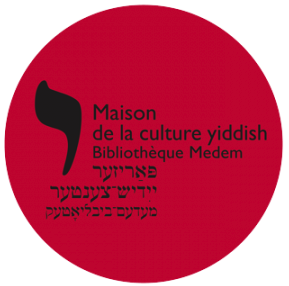 Membership of the Paris Yiddish Center is required to attend classes. For registration, please contact Laurence Buchwald. A computer with webcam, microphone (to speak to the teacher) and headphones.